The dog days of summer are here, but thankfully, the hottest days of the season also come with some seriously hot deals — so prep yourself for the 14th annual MidCity Dog Days Sidewalk Sale, kicking off this weekend. 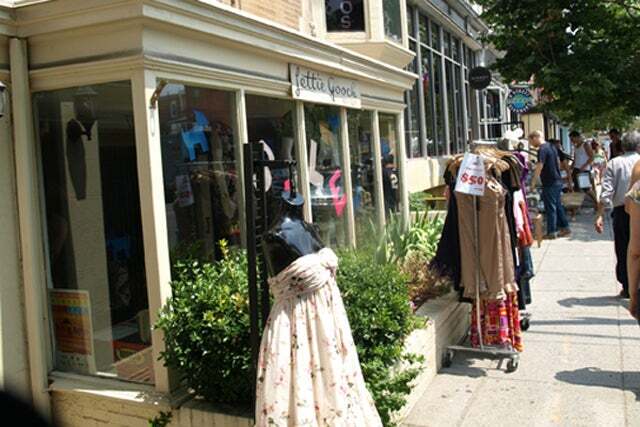 If you're not familiar with the two-day affair that celebrates all things 14th & U, expect discounts of up to 60% at area shops (like Current Boutique, Junction, and Treasury), plus restaurant deals, giveaways, raffles, and live performances. Bonus: The 14th and U Street Farmer’s Market will be raffling off a “Best of the Market” basket, while Som Records and 9:30 Club will be hosting giveaways, special deals, and performances. Take it from us: You don't want to miss the Studio Theatre's annual sale, which goes down on Saturday from 10 a.m. to 4 p.m. — some of our coolest (and kookiest) finds have come from there. When: Saturday, August 3, and Sunday, August 4. Where: At participating Mid City stores and venues; see a complete list here.